Edie’s experience as an artist has been rich. She has an art degree from Foothill Junior College in Los Altos Hills, CA. 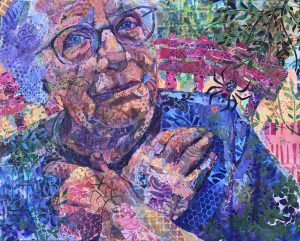 She has received awards, grants and has been featured in solo shows strung out like the beads on a beloved necklace–with gaps here and there. 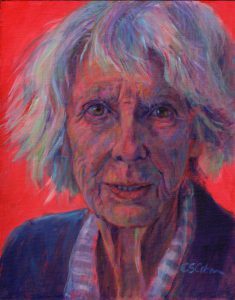 Edie has drawn/painted the elderly, babies, children with homes and without, people hitting rock bottom in shelters, vendors in the streets of places she has ventured. Her work also includes Native American chiefs posing in full regalia. It has been a long life of exploring humanity to it’s fullest and trying to convey to Edie’s audience that we all share the same humanity. Cultivating, protecting, listening to the voice in her head, Edie has worked to produced art that is authentic to her. Unpolished, struggles in full view, portraits that radiate the essence of a soul unguarded.